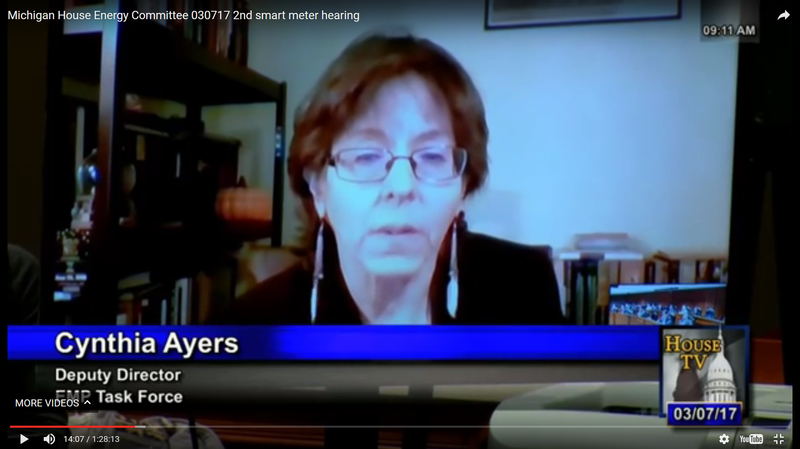 In a written submittal filed with the Massachusetts Department of Public Utilities, Northeast Utilities was highly critical of a proposed state plan that would require utilization of “advanced metering” or smart meters within the state of Massachusetts as part of an electrical grid modernization plan. In fact, the comments are quite remarkable in that they appear to reflect reality without undue political spin or bias. Northeast Utilities (NU) operates New England’s largest utility system serving more than 3.6 million electric and natural gas customers in Connecticut, Massachusetts, and New Hampshire. Let us hope that other utilities, public utility commissions, and politicians everywhere can soon come to similar unbiased conclusions that are based upon economic realities and reflect consumers’ and societal best interests. They said it was too expensive to execute about 6 times and they are right. They can imagine other investments that would save their customers more, or increase rates by less. Conceptually, this grew from the wild cost of supplying twice a day peak power demand. In isolation this sounded like a great idea and it was. BUT, now that its been tested in the real world its a fail. It would work if the utility could remotely control, or turn off, big energy uses like air conditioning, water heating and clothes dryers for the 4-6 hours a day where peak demand occurs. (And who has any sympathy for pool heaters, driveway melters, etc if they drive up your power costs by spiking peak demand even higher.) But consumers don’t even like the thing on the outside of the house, let alone the measures needed to differentiate uses within the home. The grid security, customer privacy, health, and the rest of the stated concerns are icing on the cake, or, more aptly, the knife in the back. Ontario’s revalation that there’s no return on this investment simply reflects the fact that the rewards are puny for the trouble involved and most people don’t know or care. This will outdo Ehealth as Ontario’s greatest financial fiasco. It turns out, I assume, that natural gas power plants that can be turned on and off are a much cheaper option to meet peak demand. There’s enough conspiracy action around this issue to make us all look under our beds. Maybe the truth is really, really simple. If you load up power rates with nukes, spending fiascos like smart meters, pay too many people too much money and, VOILA, renewables look affordable. The water utility company in Kenosha, Wisconsin, began sending me letters that I had to schedule the water company to come to my home and install a new “smart” water meter. Knowing what these technologies do, and noticing that the water company recently put up a huge cell tower at its location, I ignored the letter. Then I got another one, which I ignored. Then I received a red letter stating my water would be turned off if I did not call and schedule to have this installed on my home. I called and scheduled it for another two weeks out. This is months of letters and then, after being threatened, I called. When the big and dumb jerk showed up at my home, I asked him what this new “meter” looked like. He stated it was about the size of a book. I asked him if I could see how it was installed on my five neighbors’ homes. He stated they did not have one. I said, “Get the f*(k off my property.” He got in his van and immediately got on his cell phone. Why wouldn’t my neighbors, after all the months I put this off, have theirs yet? I am a “targeted individual.” Thanks, Kenosha.